The signs were all there, glaring, waiting to be seen. The predisposition to violence, time spent in prison, emotionally unstable, website postings. Alton Nolen was not an aberration. He was if anything a ticking time bomb with a short fuse. His firing from Vaughn Foods was simply the catalyst that tripped the trigger in his mind to move from jihadi thoughts to violent action. One small switch, one perceived slight and he was gone. Doing what he had heard and seen of others, specifically ISIS members beheading innocent victims in the Middle East. The call to him was clear, at least in his twisted mind. Several radical Islamist groups had recently urged American “lone wolfs” to act in the name of Allah and attack innocents where ever they could. Could this action have been stopped before it started. Should authorities have known beforehand what an individual like this could do. Is there a profile or tell tale signs that authorities should have picked up on? The answer is yes. "Based on a variety of reporting - including a preliminary analysis of a small sample of US converts to Islam who become associated with extremist violence...we assess.. Some individuals, particularly those who convert in prison, may be attracted directly to jihadi violence at the outset of their conversion for opportunistic rather than ideological reasons. 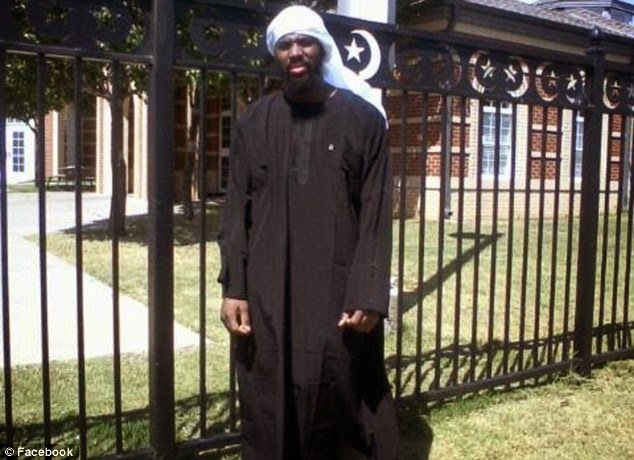 For this group, jihad represents a convenient outlet for aggressive behavior." The report goes on to say: "In an apparent play on this psychological vulnerability...extremist groups are actively recruiting prisoners…"